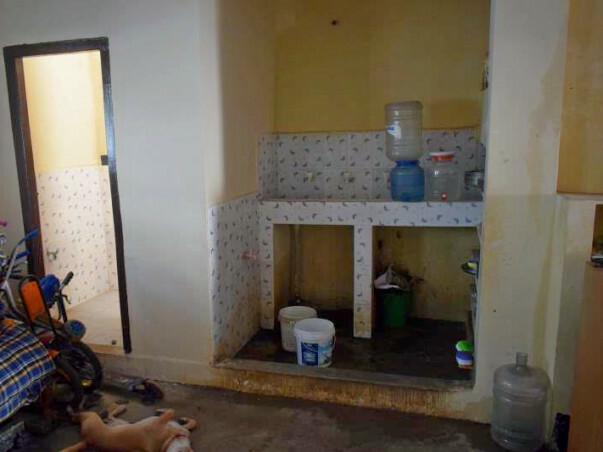 Help these children to get sanitation facilities and a proper floor ! 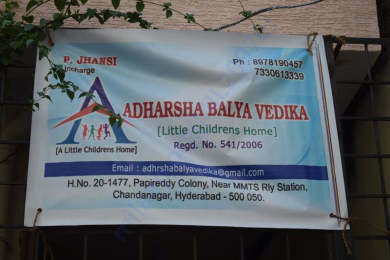 Adarsha Balya Vedika established in 2006 by Late Mr.Laxmayya with a vision of providing shelter, food and education to the abandoned children. Unfortunately, Mr. Laxmayya passed away in a road accident. After Laxmayya’s demise, his wife Jhansi is taking care of the orphanage home. Jhansi, who is a single parent of two children, is striving to live her husband’s dream. She is successful in arranging proper food and education for the 18 kids and an elderly lady. I have personally visited this orphanage to know about their current basic needs. 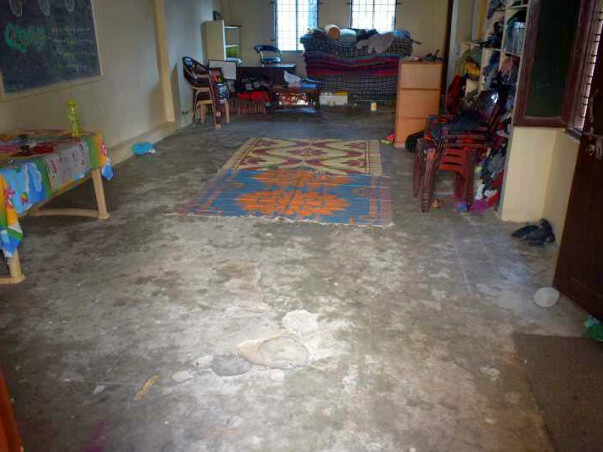 The cement floor on which the children are sleeping is so pathetic and is broken. 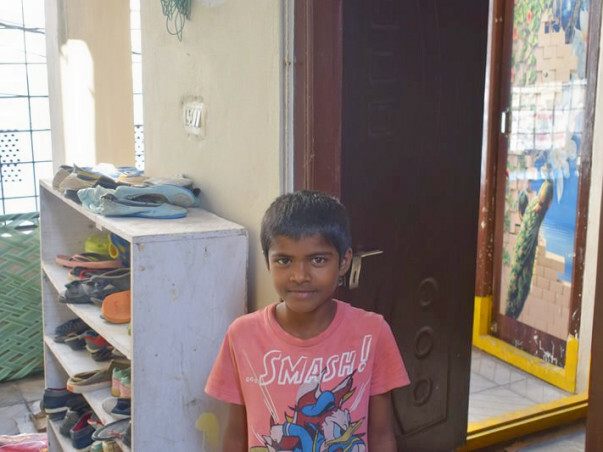 In the same room where they sleep they have to wash their clothes and utensils due to which there is stagnant water and these children are prone to many diseases. 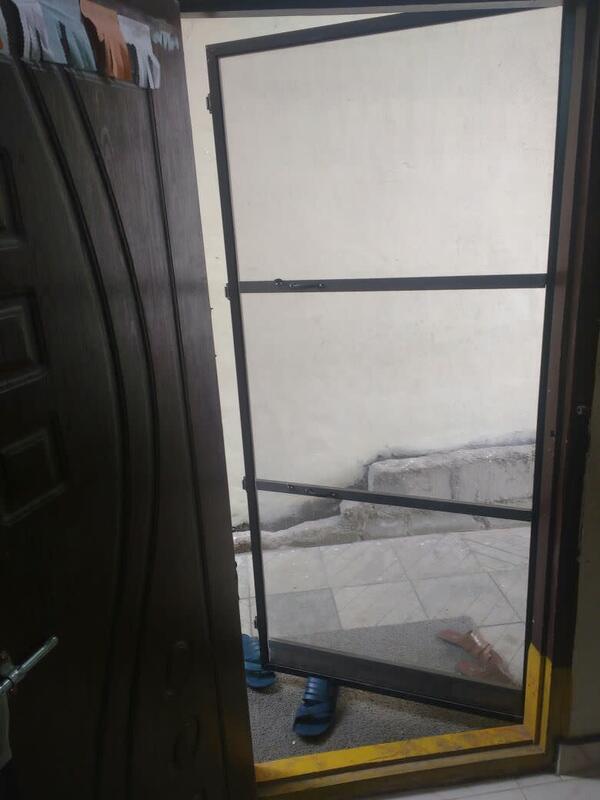 Also on the back entrance of the house, they are unable to open the door because of the corridor space being dumped with garbage and construction wastage. So,here are the minimum basic needs required for this children to live peacefully and continue their studies. 3) Mosquito nets to cover the doors and windows. 4)Any donor who wants to donate clothes and rice bags are always welcome. And yes, this is a registered NGO and i have personally checked if it is genuine or not. A Big Thanks to all the donors till date. Here are the differences you made in these children lives :) Please find the before and after pictures. On a Happy note, I am closing this campaign. 3) The wash area is much cleaner now with tiles flooring and there will be no more stagnant water there as the floor level has been adjusted and proper drainage pipeline has been laid. 4) Mosquito netted doors and windows (3 doors, 4 windows, and 3 ventilation windows). 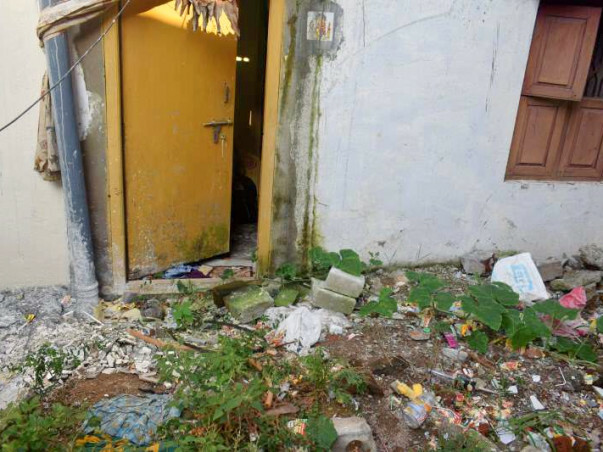 Yes, this was one of the most necessary things they needed as the locality being a slum was prone to dengue disease. With the help of you donors, we were able to get the following things done. A Big heartfelt gratitude from all the children here at the orphanage. The only thing pending is the cleaning up the messed up backyard of the home and proper drainage disposal pipeline at one corner of the home which will be used by children daily. Please do share this among your circle to let these children meet their remaining needs.